We provide the truly international tests with globally standardized test papers and marking system, ensuring recognition everywhere. 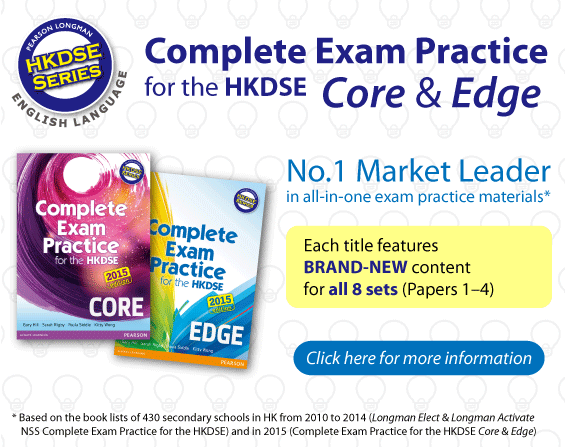 Power up for the TSA & HKDSE! Pearson English Learning & Teaching around the world, visit www.pearsonelt.com and learn more.